Now more than ever before, there are numerous hair products tailored to meet the needs of natural hair. There are a variety of cleansers, sealants, conditioners, butters, and styling creams that are meant to keep our curls healthy and popping. Out of the hundreds of options out there, these three remain my Holy Grail products. These products never fail to consistently render great results. The Tresemme Naturals Moisturizing Conditioner is silicone-free and is infused with aloe vera juice and avocado oil. It does have some useful alcohols such as cetyl alcohol as its third listed ingredient to help prevent dryness. This product would work great for type 4 naturalistas with fine hair. The first time I used this product, it left a thin film on my hair that would not wash off. Because of this, I kept off it for a long time. However, I kept seeing rave reviews in various hair forums and decided to give it another try, and I’m sure glad I did. This conditioner has made its way up to my list of Holy Grail products because it is accessible, affordable, and has tons of slip. I use this conditioner for my co-washes. I simply apply a coin-sized amount to the length of my hair, let it sit for about 3-5 min., and then rinse it off with a cup of ACV followed with cool water as a final rinse. I find that this conditioner leaves my hair intensely moisturized and manageable. I came across this product in a small beauty supply store in Delaware. I had not heard of it before or seen any reviews of it online, but I decided to purchase it and give it a try. I have not looked back since! I apply a palm-full of this deep conditioner to my hair from root to ends after my weekly cleansing routine and then I let it sit on my hair for about 30 min. I have also received great results when using a hair steamer. This lightweight deep conditioner has a lot of slip, which make it great for detangling. While it does claim to be a reconstructor for damaged hair, I have found it mild enough to use on a weekly basis without causing protein overload. It seems to be the perfect blend between a strengthening and a moisturizing deep conditioning treatment. In terms of ingredients, this conditioner has a mixture of jojoba, olive, sweet almond, and macadamia oils. It also has hydrolyzed wheat, corn, and soy protein to strengthen the hair shaft. The cetyl alcohol, behentrimonium methosulfate, and stearyl alcohol are what add slip to the formulation for easy detangling. I apply this butter to my hair as my final sealant after wash day. 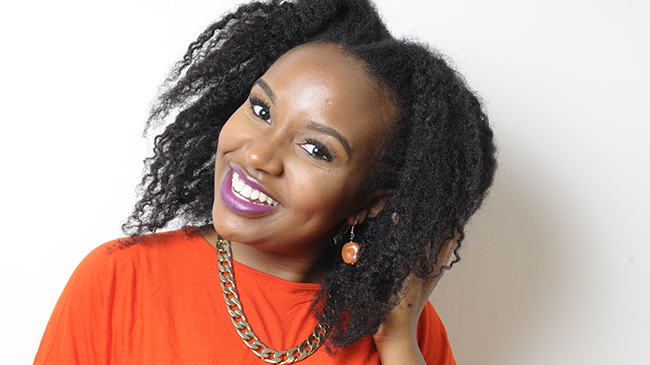 I use the LOC method to ensure that my hair remains moisturized throughout the week. Karen’s Body Beautiful Butter Love serves as the “cream”. It is a saturated oil, so that means that it is thick and heavy enough to provide a long-lasting coating to prevent against moisture loss. I focus this product on the tips of my hair, as these are the oldest and most delicate parts, making them more prone to breakage. This butter is a mixture of shea, cocoa, mango, jojoba, and aloe butters as well as essential oils, grapeseed oil, and vitamin E. Each of these ingredients has essential nutrients that improve the luster, health, and manageability of our hair. What are your Holy Grail products and why? We’d love to know the products that you absolutely cannot live without!